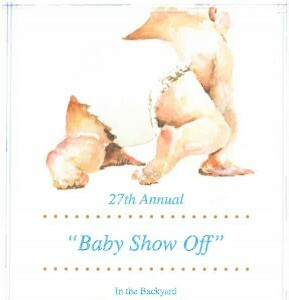 The 27th Annual Baby Show Off! It’s that time of year! Janet, Sue, and Anne are so proud to welcome moms and their new ones to the 27th Annual Baby Show Off Garden Party. Started in 1987, the Baby Show Off was a fun, casual way for new moms to make and meet friends within the community. Now, 27 years later, the tradition continues! Hosted at Janet’s home, this year’s fete will include plenty of bouncing babies, delicious food, and fun for moms. Here are a few pictures from past years…and one throwback picture from 1990! "My loyalty in returning to them again and again speaks more than anything else I could say, but I would be remiss if I didn’t point out their professionalism, integrity, attentiveness, vast personal and professional contacts, and overall pleasantness."